Wouldn't you love to have a KitchenAid Mixer to whip up the best cookies and cakes for desserts this holiday season? Enter our giveaway now for your chance to WIN! Well the wind is blowing and the temps are falling! It feels like autumn and that makes me want to bake bake bake! How about you? 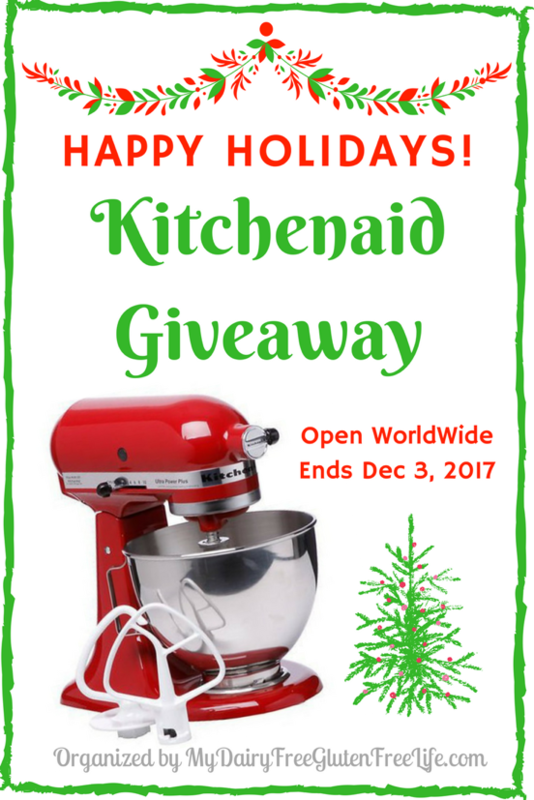 This is a Blogger Sponsored Event, which means that the bloggers listed below have donated to cover the cost of this Kitchenaid Ultra Power Stand Mixer for this Holiday Giveaway! I don't know yet about Christmas I gotta get thru thanksgiving first and maybe catch up on shopping I'm in trouble this year ! We'll be headed to my parents' place for Christmas! Wow! Someone is going to have a blast with this! I am actually hosting this year. What did I get myself into!